Amber Belldene grew up on the Florida panhandle, swimming with alligators, climbing oak trees and diving for scallops…when she could pull herself away from a book. As a child, she hid her Nancy Drew novels inside the church bulletin and read mysteries during sermons––an irony that is not lost on her when she preaches these days. With a B.A. in comparative religion and an M.A. 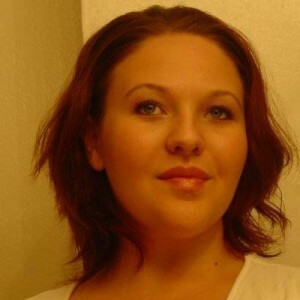 in theology, Amber is a Christian minister and student of religion. She believes stories are the best way to explore human truths. Some people think it is strange for a minister to write romance, but it is perfectly natural to Amber, because the human desire for love is at the heart of every romance novel and God made people with that desire. Amber’s debut novel Blood Vine was released this month, published by Omnific Publishing. Go add it to your digital shelves and visit her at blog! Now let’s see how Amber answers the Proust Questionnaire! To me, happiness is contentment–being satisfied with things as they are. My favorite song is Miles Davis’s Kind of Blue, which I first heard in college and still find it the most moving piece of music I’ve ever heard. I’d love to be able to sing in tune. Preoccupied by the novel I’m writing, but that’s chronic. 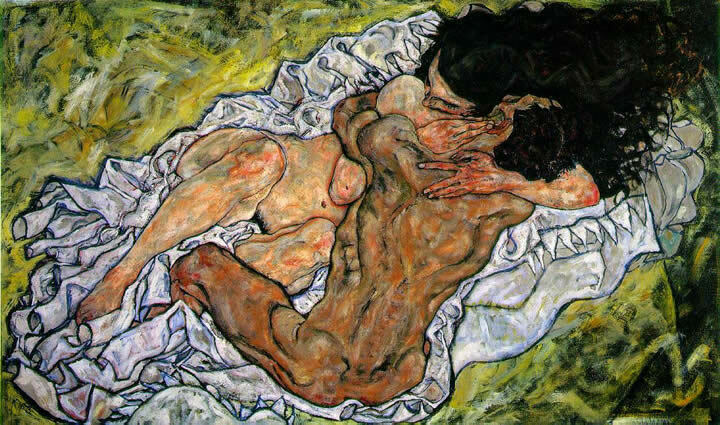 It’s a painting called The Embrace by Egon Schiele. A particularly hilly stretch of highway in Central Florida that seemed like exotic mountains to the young me every time we drove it on the way to my Grandparents’ house. Jack Shaftoe from Neal Stephenson’s Baroque Cycle would be really fun to meet. I’ve done pretty well with my life list, but I’d sure like to see my kids grow up, and I have a book I really want to write, but two in the queue ahead of it. The wording of this question pre-determines my answer–God. I don’t sleep enough to dream these days. But I very vividly remember one from long ago, when I was trapped in a sky scraper for hours looking for the ladies’ room. My madeleine is the sound of a car’s turn signal. It reminds me of my Grandfather’s Buick and makes me very sentimental. Eden Plantz is an editor, author and Navy wife. 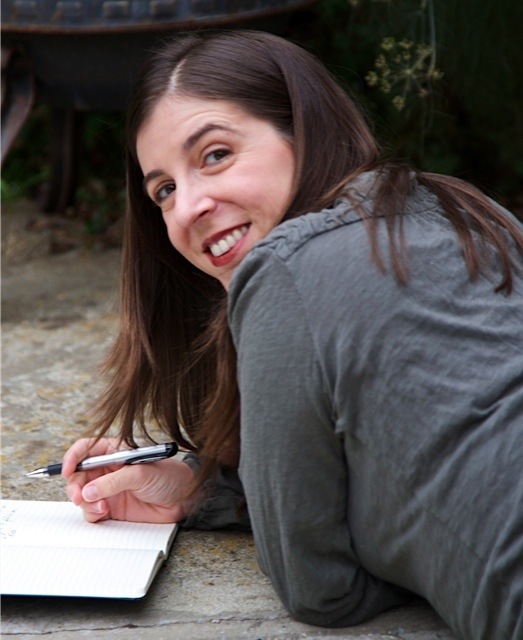 She started creating stories even before she could write them, and spends far more time than she’d like to admit trying to bring the characters in her head to life. She lives in Florida with her family and a pair of sock-stealing dogs that keep her on her [bare] toes. 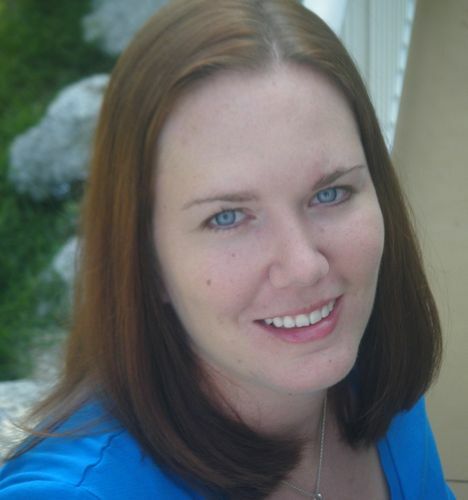 Eden’s current editing projects include the Elsker Saga by ST Bende and Only You by Irish author, Lorna Peel. She’s also currently working on writing the second book in her Temptations series––Book One releases in April ’13. Find out more on her website. Now let’s see Eden’s answers to the Proust Questionnaire! Happiness is a warm hug from someone I love. My favorite song changes often and depends on my mood. My go-to music is usually anything by OneRepublic or Adelle, but sometimes I go back to favorites from my youth by Staind, Metallica, Tool, etc. I would love to be able to paint. Only on holidays when I pretend to be some fictitious character that brings my children candy/ presents. Well, I just discovered the series Homeland on Showtime. So, I guess my present state of mind is addicted. I watch it every chance I get. Treat others as you want to be treated, even if they don’t extend the same courtesy to you. When I’m writing, “definitely” creeps into my narrative more than it should. In person, I use “for sure” a lot in conversation. Anything with dogs playing poker. No, I’m just kidding. I don’t have one favorite painting, but I am partial to the style of neoclassicism. Living for 90 years. I want to watch my children grow up and discover their lives. I want to watch my grandchildren run screaming through my house on Christmas morning. I want to be there when my great-grandchildren are born. My first love…hmmm. Well, I guess my first love would have been Goose from Top Gun. It was my favorite movie when I was 3 years old, and I loved it because of Goose. Interestingly enough, I married a man who not only serves in the Navy, but also looks remarkably like Goose––mustache and all. The world was under attack by aliens and dogs were leading human refugees to safety in forests. I always have very vivid and very confusing/odd dreams. Sarah Nicholas is a twenty-something who currently lives in Orlando with a singing-dancing-fool of a roommate and the cutest mutt on the face of the planet. She’s “Thursday” on the YA Rebels, a contributor at YAtopia, a freelance author’s assistant, and an associate publicist at Entangled Publishing. Sarah believes that some boys are worth trusting, all girls have power, and dragons are people too. She’s a proud member of the Gator Nation and has a BS in Mechanical Engineering with a minor in Sales. Let’s check out Sarah’s answers to the Proust Questionnaire! Having (and acting on) a purpose. Doing more than the minimum. Being constructive because you want to, not because somebody is making you or paying you. Yesterday. The first time I remember hearing it was a boy on the bus singing it. I was in middle school, but he was in high school and very talented. Singing! I’m sure there are more productive things I could wish for, but I’m a terrible singer and have always wished for the kind of talent that would immediately connect me with people. I tend to avoid the truth more than I lie––and that’s usually to spare someone’s feelings. Imagine if you were riding a roller coaster and the shoulder restraint was broken. If it is to be, it is up to me. Heard it first in third grade; it rang true even then. 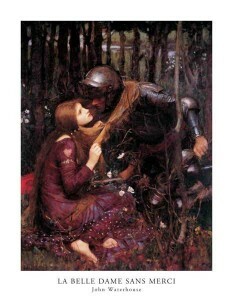 La Belle Dame Sans Merci by John William Waterhouse. The journey between “stranger” and “best friend”. Sherlock Holmes, I think. Though if you ask me tomorrow, it will probably change. I guess… figuring out what I need to do before I can die happy? Donatello (the ninja turtle). Unless you mean “first” as in present tense, then it would be connecting people. Oh gosh. I was at this athletics competition that had all the importance of the Olympics, but the contests were silly childhood pool games – like paddling in cardboard canoes and diving for colored rings. The smell of old, well preserved books.